Administrative privileges may be required. 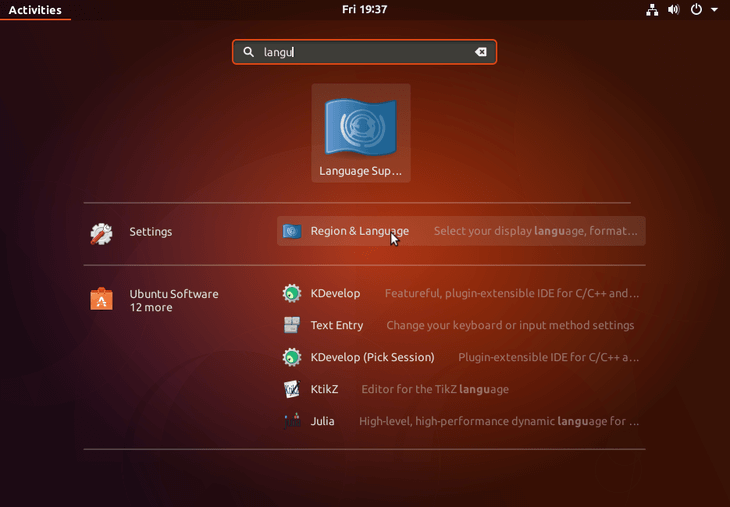 Use Activities menu to locate Region & Language icon and open it. 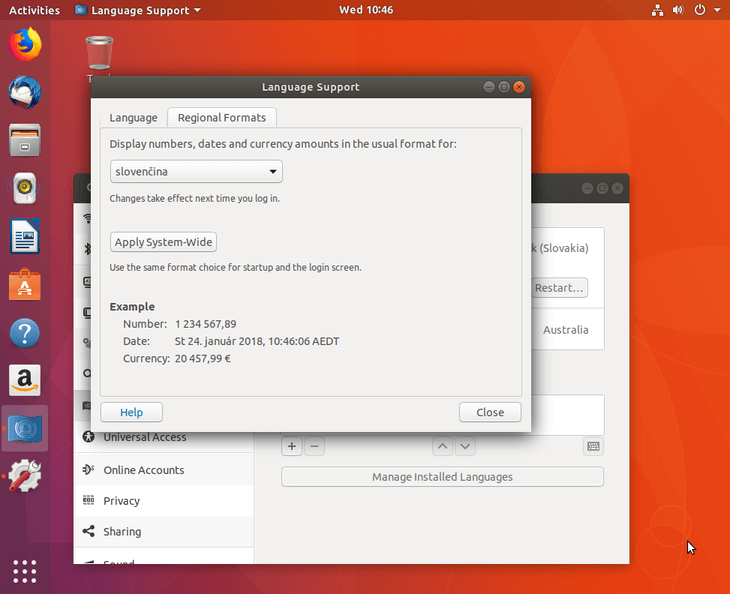 Hit Manage Installed Languages to confirm or install your desired language. 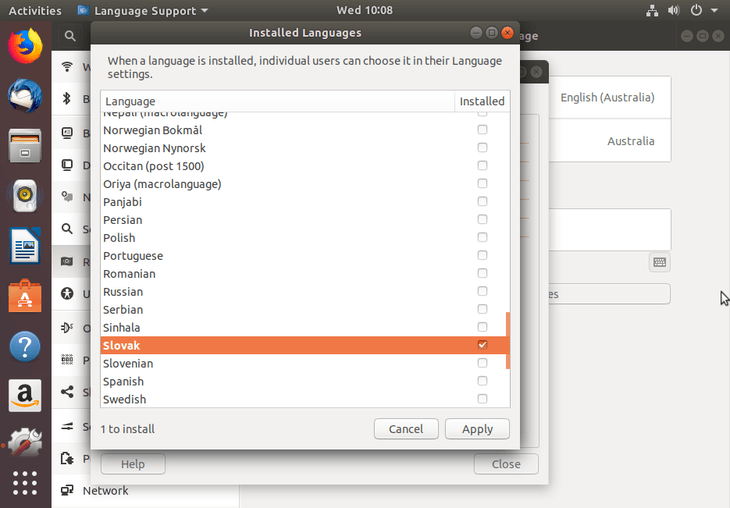 If your language is not installed yet, click on Install/Remove Languages button. 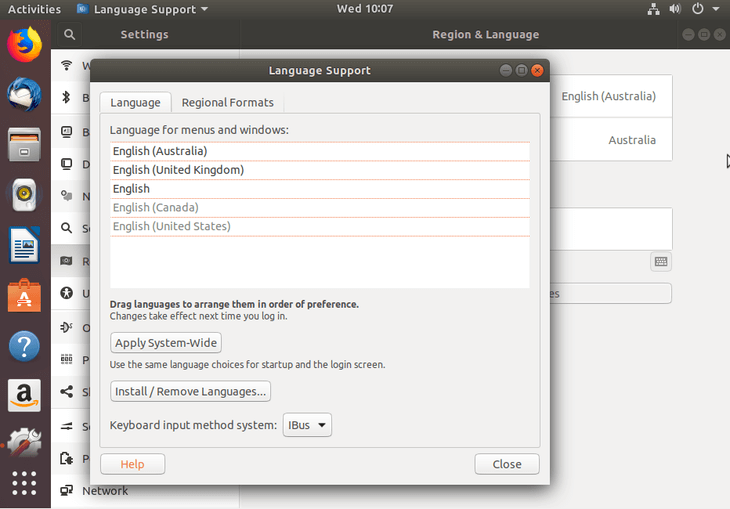 Select your desired language for installation and click on Apply button. 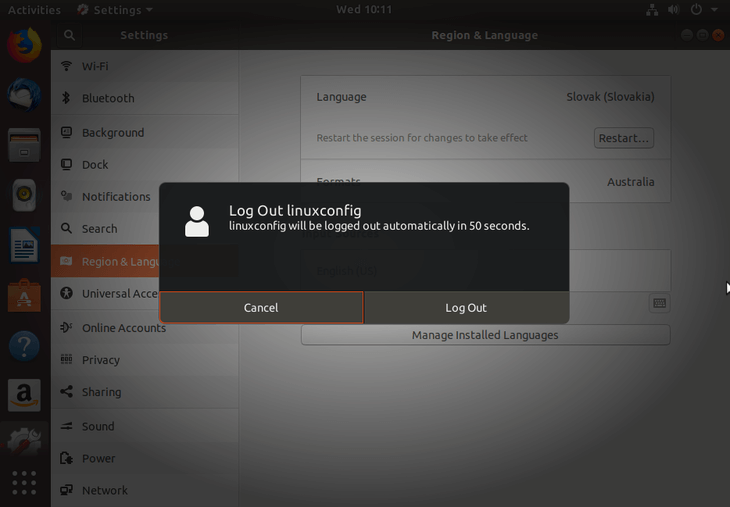 Click on the current Language, locate your new installed language, select it and double-click to apply. 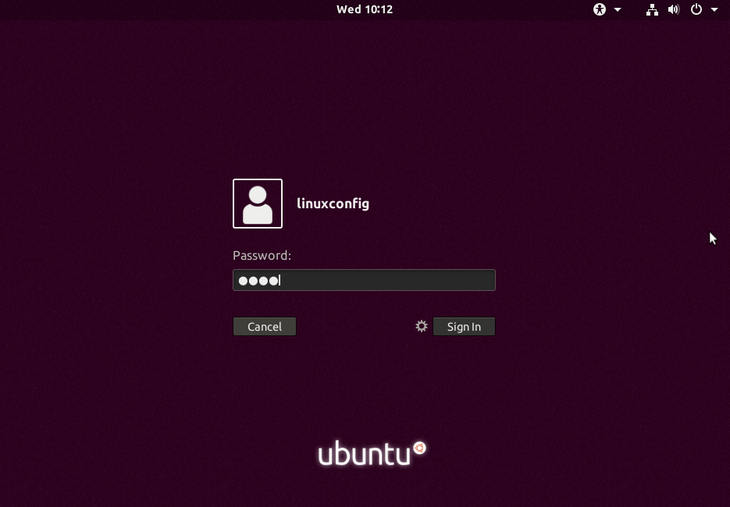 To be complete you can also update Formats to your language. This will change formats of dates, currencies etc. 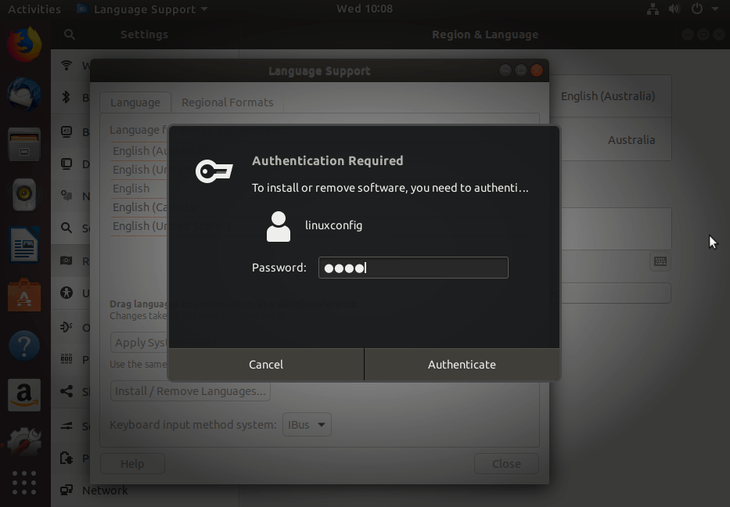 Select Manage Installed Languages -> Regional Formats and select your language.